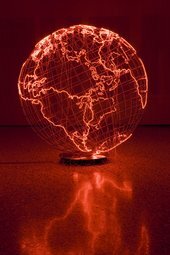 Born in Beirut to a Palestinian family, Mona Hatoum settled in England in 1975. 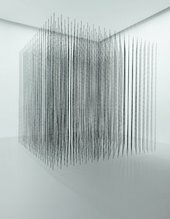 Her work creates a challenging vision of our world, exposing its contradictions and complexities, often making the familiar uncanny. Through the juxtaposition of opposites such as beauty and horror, she engages us in conflicting emotions of desire and revulsion, fear and fascination. 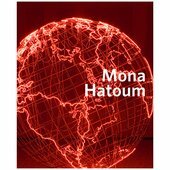 One of the shows of the year… Mona Hatoum’s art makes eloquent statements not only about the Middle East, but about what it is to be human in the world today. 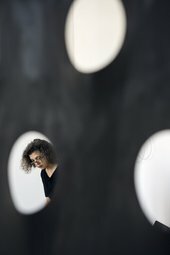 Currents surge, wires spool and buzz, and the political and personal fuse in this major survey of an artist forever pushing herself to do things differently.